Time crystals, first identified in 2016, are different. Their atoms spin periodically, first in one direction and then in another, as a pulsating force is used to flip them. That's the "ticking." In addition, the ticking in a time crystal is locked at a particular frequency, even when the pulse flips are imperfect. Yale's new findings are described in a pair of studies, one in Physical Review Letters and the other in Physical Review B. The studies represent the second known experiment observing a telltale signature for a discrete time crystal (DTC) in a solid. Previous experiments led to a flurry of media attention in the past year. 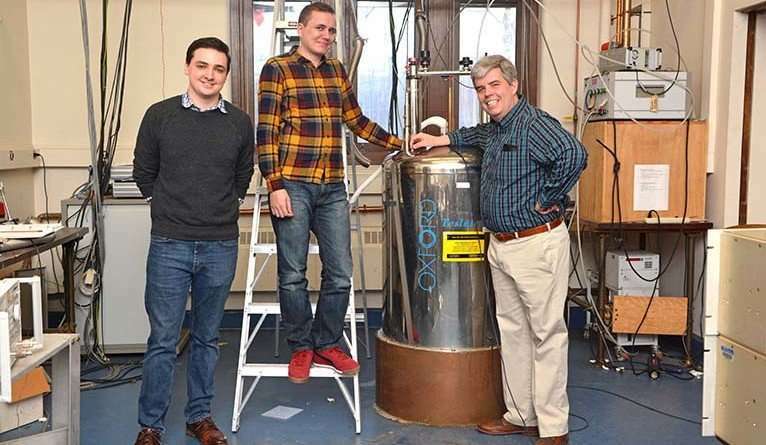 "We decided to try searching for the DTC signature ourselves," said Yale physics professor Sean Barrett, principal investigator for the two new studies. "My student Jared Rovny had grown monoammonium phosphate (MAP) crystals for a completely different experiment, so we happened to have one in our lab." MAP crystals are considered so easy to grow that they are sometimes included in crystal growing kits aimed at youngsters. It would be unusual to find a time crystal signature inside a MAP crystal, Barrett explained, because time crystals were thought to form in crystals with more internal "disorder." The researchers used nuclear magnetic resonance (NMR) to look for a DTC signature—and quickly found it. "Our crystal measurements looked quite striking right off the bat," Barrett said. "Our work suggests that the signature of a DTC could be found, in principle, by looking in a children's crystal growing kit." Another unexpected thing happened, as well. "We realized that just finding the DTC signature didn't necessarily prove that the system had a quantum memory of how it came to be," said Yale graduate student Robert Blum, a co-author on the studies. "This spurred us to try a time crystal 'echo,' which revealed the hidden coherence, or quantum order, within the system," added Rovny, also a Yale graduate student and lead author of the studies. Barrett noted that his team's results, combined with previous experiments, "present a puzzle" for theorists trying to understand how time crystals form. 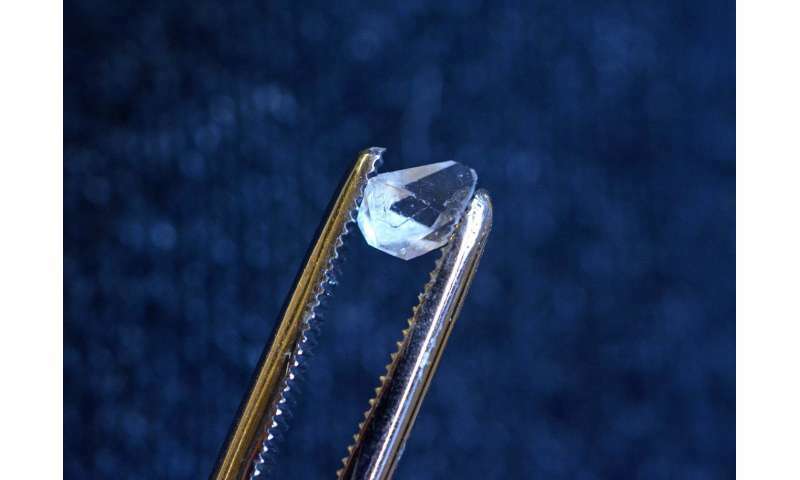 "It's too early to tell what the resolution will be for the current theory of discrete time crystals, but people will be working on this question for at least the next few years," Barrett said. Dude, they're measuring time crystals in the lab. Next you're going to tell us air has only mathematical existence. Then there's the whole clock thing. You know, those funny round things they put up on walls with the hands that point to numbers. You might have seen some of those somewhere or other. It seem that all amphidynamic crystals/framework can have time crystal like properties. Maybe you should look up what a 'time crystal' actually is before making such dumb statements? Because I'm pretty sure it isn't even remotely what you think it is.